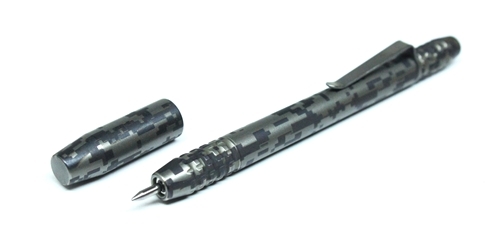 An Interview and Giveaway with Mike Bond of Ti2 Design – Pens! Paper! Pencils! Mike Bond is the man behind Ti2 Design, responsible for the Ti2 TechLiner, a pen that is, not to put too fine a point on it, utterly fantastic. I use mine every day at work. Mike was kind enough to take some time out of his very busy schedule to tell me about how he came to be making pens out in Hawaii, what he’s up to currently and some exciting news about future plans. There’s also an utterly amazing giveaway! I grew up in Hector, NY (Finger Lakes Region) on a 100 acre grape farm. I have a degree in Graphic Design … I always liked designing and making stuff. How did you come to be designing and making pens in Hawaii? My “Big City” job at a behemoth liquor company changed directions and I was looking for something new. My wife grew up in Hawaii and we were ready to settle down and start a family. Shortly after moving here in 2006 I had a wild idea to put a V8 in a VW Vanagon and needed an adapter. The options are limited out here, but I was directed to a machinist that would take on such a random project. 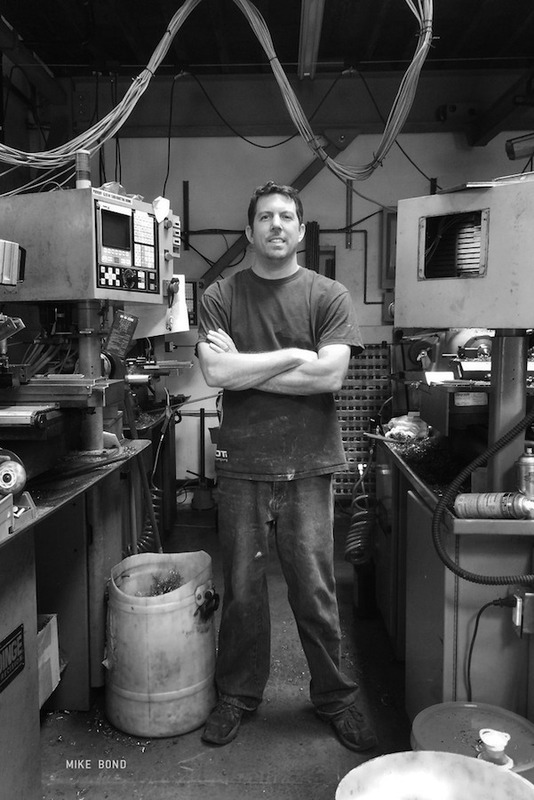 I walked through the front door of his machine shop and never left. I quit my job and started spending all my time learning the trade. What led you to pens in particular? I didn’t like the exposed threads on capped pens and the designer in me needed the accent colors. I saw pens getting well funded on Kickstarter and thought I might have a shot. How important has Kickstarter been to your success? VITAL — Getting an inside look at the market’s acceptance of a product is better known than guessed. Also, getting the funds up front helps execute the project properly. 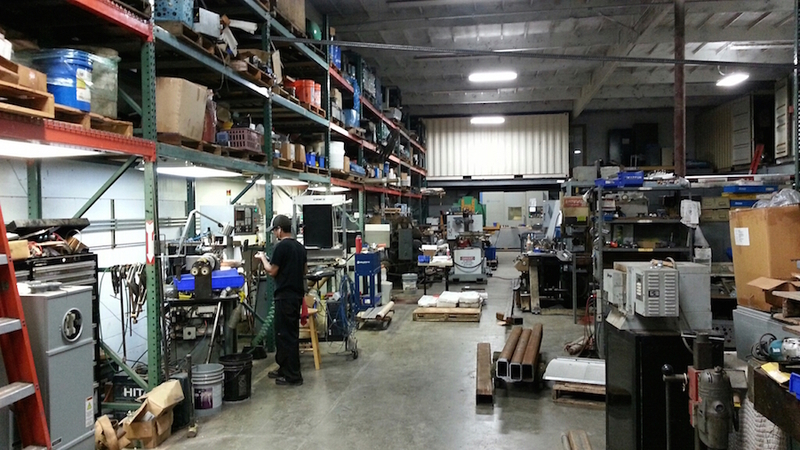 We’ve reinvested any extra profits for infrastructure, we have 3 or 4 lathes running most every day now. How do you use pens and pencils day to day? I use pencils quite a bit drawing out sketches of things that come to mind … Then ink them out with a TechLiner. Apart from your own, do you have any particular favourite pens? Sure, Machined Pens for sure. Prometheus Alpha, Karas Ink, Tactile Turn Movers and Shakers and the Darriel Caston D Rocket Titanium and Zirconium OVAL Bolt Pen Funding on Kickstarter currently. Which of Ti2’s pens is your favourite? What do you feel makes a good pen? Magnets … I think a good pen has to unique. If you can bring a smile to someones face when they check out your pen … That’s awesome. Are you planning new products? Yes! We just launched the Ti2 Whar-Biner. We are planning a new pen middle of 2015 and an electric tracked vehicle towards the end of the year. There are two ways of entering and you’re welcome to do both and double your chances. The second way to win is via Instagram. Follow me (banana_moon) and Ti2Design and then tag the two of us in a picture. The closing date is 9am GMT on Sunday 22nd March. All the entries will be listed and numbered and I’ll pick a winner using random.org. Thank you Mike for your time and for this giveaway. What a beautiful pen! Thanks for the opportunity to take it home. My superpower would absolutely be flight. Come on, guys – FLYING. Been wanting one of these for a while. My superpower would be the ability to fly. Imagine how cool it would be to fly everywhere you go and not deal with traffic. Awesome interview Ian. I would name a superpower I would love to have but since I already have an Urban Camo shorty, I’m gonna bow out and give somebody else the chance to win. Wow, what a fantastic lineup of products! Great interview. My superpower would be that I was the only person in the universe who did not require any sleep whatsover. I would have so much more time to learn new things, get things done, etc. That pen is so awesome! I’ve had my eye on one of these for some time. Thank for the opportunity Ian and Mike! This is a tough question for a comic book geek like me. I’d have to go with invincibility. I have three little kids, and as I get older that would come very handy. I would desire the Superpower to grow drought/insect/flood resistant crops anywhere in the world. I would go to areas devastated by famine and with a wave of my hand, there would be thousands of acres of ready to eat crops (rice, vegetables, grains, herbs, fruit trees) and thus end starvation in the world for people and animals. I’d probably go broke with airline tickets but I could meet another superhero with super fast flying powers that could fly me there. Hope that didn’t sound like a beauty queen contestant’s answer but to wipe out the scourge of starving to death would be priceless. Awesome pen! For a super power I would have to go with super intelligence, because you could solve some of humanities greatest questions, plus you could create some awesome stuff! My superpower would definitely be invisibility. Lay down and turn on your wildest imagination. Unbind your secret thoughts. You will realize that you can hardly beat this one. For example, the ability to fly is cool but invisibility gives you something extra. It is something secret. It is a touch of mystery. Thanks for the chance! My superpower would be super hearing, which would help my alter ego day job of choir director. My superpower would be teleportation. Seriously scientists, get to work. Flying in planes and driving in traffic or super long distances is a DRAG. My super power would be to instantly put people to sleep. Someone annoying you? Sleeeepppppppp. Baby crying? Sleeeeepppppp. Tell you what doesn’t put me to sleep, these Ti2 pens. err…I’m sure there’d be nothing bad that could happen…..
Hi Ian, love the idea of the give-away, and the look of the pen! If I could be a superhero and choose my own superpower… I like the idea of being able to ‘duplicate’ myself – so I can be in several places at once, especially at homework time (3 kids)… Would certainly make multi-tasking a lot easier! Thanks for a really enjoyable article. Found this article from Mike’s Instagram. My superpower would be the ability to control probability! Thank you so much for this giveaway! SuperPower huh? Enforcing Common Sence! How’s that to make the world a better place? Cool pen! My superpower would be teleportation. Then I could go to all the pen shows and not just the one that’s near me. Nice pen! My superpower – teleportation. The ability to bypass airlines would make travel so much more enjoyable and save money too. I respect the guy for starting with a task that appeared to be a little crazy, then finding someone else who worked perfectly with him, shared the same taste and both made an incredible business out of it! I imagine that shop is a hell of a lot of fun to work at. As far as super powers go, everyone’s got the wrong idea when it comes to invincibility and not sleeping… the super power you really want (me included) is super speed! This means you experience everything and can accomplish things faster than anyone. It’s not just for travel, when the Flash happened upon a burning apartment, he was able to rescue everyone from the fire, put it out, demolish the building, study construction and the building codes, and rebuild them an apartment in like an hour. To have your body withstand that is basically invincibility, and to do that much with as slow as people move, you’re basically invisible…. Awesome Pen! My super power would be Mind-Reader. You know, like that movie with Mel Gibson “What Women Want”. Great interview! Nice looking pen! Super Power … the ability to fly! Superpower? That’s an easy one… mind control! Fabulous giveaway – thanks Ian! My superpower would be flying! My super power would be getting government to work for its people. Getting justice for people who get lost in the system. My longtime dream of superpower would be to know all the languages. Spoken, written, body, programming, you get the idea. Oh this pen looks georgeous. My superpower will be travel through time and space. My superpower would be the ability to master anything. Sorta like in the matrix, but without a hole in the back of my neck. If I could choose a superpower, it would be teleportation. I travel A LOT for work and this would definitely help with all the wasted time. I’d love the ability to fly! It’d just make life so much easier! Awesome pen. Thanks for the interview and giveaway! My superpower would be the ability to know the future. My superpower would be teleportation. No time consuming rides with the train or car. My power would be a swell ring like the Green Lantern has to do cool things. Like scare superman with kryptonite. My superpower would be able to make anything a reality or fake. Think of all the things you can make real! This pen is true gorgeous! Thanks to you , and to you for the giveaway… and to Mike. Great interview. My super power would be teleportation. But not just teleporting through space but also time. Kind of like Dr. who but without the Tardis. I’d like to be able to take things apart and rearrange the molecules in different ways. Like in The Lego Movie, but in the real world. Great giveaway. Thanks. I’d have to be able to fly. Just purchased a couple of plane tickets and would prefer to save the coin and purchase some new pens and gear. I guess I’m cheap that way. Thanks for the giveaway. My superpower would be the ability to travel through time and space! I would want my super power to be able to fly. If I had a superpower, I think it would be teleportation. It’s practical outside of crime-fighting as well. Awesome looking pen! Love the camo, which ties in with my preferred superpower of invisibility. If I were a superhero my power would be teleportation. Yes, I am getting tired of crutches. Thanks for interesting interview and giveaway! My superpower would be mind reading. This way I can both help good people with their problems and punish bad people creating problems.